One of the most contentious issues surrounding EVE is griefing. Many people, both inside and outside the game, look at the permissive attitude towards non-consensual attacks of other players and are offended by the idea. Even now, after more than ten years, there are still players on the Crime and Punishment forum who complain about being ganked or scammed. There are some who would even quit the game over a loss that they consider unfair. In extreme cases there are accusations and assumptions about the playerbase as a whole. Clearly everyone in that game needs to be a sociopathic person to enjoy it. The reactions in the opposite camp are equally categorical and passionate. People who complain about griefing are often seen as weaklings who should “go back to WoW”. A fully safe zone in EVE is generally considered to be the complete antithesis of the game. Griefing – in the sense of non-consensual PVP – is seen as a legitimate, even a necessary, part of EVE. Where do those attitudes come from, and do they make any sense in EVE Online? When Edward Bernays introduced psychology into marketing, he created the foundation for the essential promise of modern consumerism. Today we are told that our choices as customers become part of who we are; the self-image we would like to project. This creates a personal identification between the customer and the product. People who would identify as gamer and refer to their occupation or social status second are a manifestation of that effect. With our purchase we also implicitly buy the right to be satisfied with the product or experience. If that condition is not fulfilled, we feel cheated as customer and consider ourselves entitled to complain and to openly reject the product. The rather unrestricted grief play which CCP are allowing in their game can result in exactly that feeling of betrayal for the casual and benign player types. That becomes exacerbated when their first reflex to complain publicly is only met with ridicule. Eventually, they have to accept the inconvenient truth that their negative experience is not only tolerated, it is actually an intentional factor in the game’s design. Unreflected, angry rants of players who unexpectedly become victims of an attack are often the result. On the other side are the people who are attracted by that very same principle which allows them the freedom to act in “bad ways”. They claim for themselves the same right to satisfaction. Their traps and scams are elaborately crafted and executed. EVE has long been pitched as a game where vicious acts are not only allowed but encouraged. “Be The Villain” was even used as a marketing slogan. With such a message, how can CCP deny a customer the satisfaction to act out their malicious fantasies of betrayal and harassment? A dichotomy is thus created where one side will inevitably be disappointed and feel that their gaming experienced is tarnished by the existence of the other. So far CCP has always chosen to side with the griefers. They clearly do not care if they lose one type of customer as long as they can keep the other. The question is, why would they do that? In general, “evil” choices in games are a minority program. Even in single player games the percentage of people who will choose to play the bad guy gravitates around 10%. In MMOs one’s actions affect other players rather than NPCs. When considering the study result that people even feel guilty about doing amoral things in single-player games, it looks like a safe assumption that they would feel even more so when their victims can be other human beings. Despite its focus on the “bad side”, EVE Online does not even have that many players who will go all the way to the dark side. I have no survey numbers, but the amount of grief play I have encountered, the amount of participants in events like Hulkageddon or Burn Jita and the number of forum posts by people who actively participate in it is limited when compared to the playerbase as a whole. Those who do engage in that sort of gameplay will often find rationalizations for why it is fine to grief. 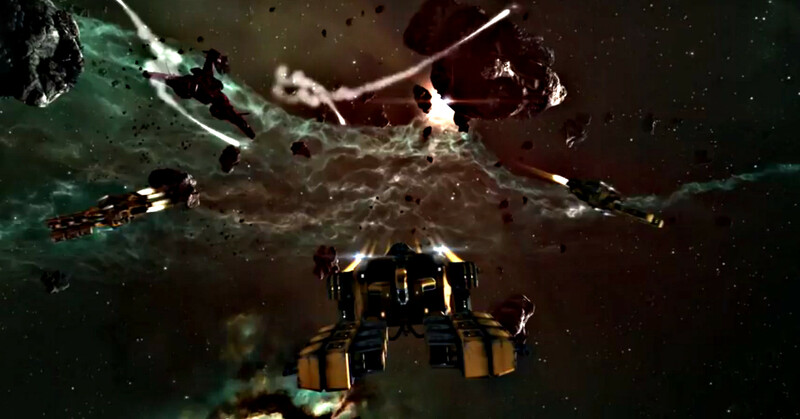 The two main events based on victimization – Hulkageddon and Burn Jita – are justified by the very fact that they are player generated content supporting the notion that EVE is a game where such things are possible. The members of CODE alliance, for example, have constructed a whole roleplaying narrative around their activities of harassment. They also support the idea that EVE is a game where non-consensual PVP is possible, even endorsed, and thus view their actions as a contribution to uphold that principle. Many griefers will quote similar reasons. It may even be declared a learning experience for the victim because highsec should never be considered safe, just safer. Psychologically dealing with frustrating the gameplay of others is not the only reason why griefing tactics are couched in rationalization. EVE actually has restrictions on harassment. It is not condoned to purposefully harass specific individuals or groups. Mass ganking campaigns like the Ice Interdictions consequently are not simply conducted to “harvest tears”. There is actually a strategy of economic warfare behind such acts. Even CODE – I am told – are investing in the production of mining barges and haulers. Killing such ships actually serves an economic interest for them. Those may be mafia-style methods, but they are within the boundaries of the rules. On a smaller scale I have participated in similar acts. Entrenched against an enemy alliance, we found out who was mining ice for them to supply jump fuel. In an effort to break their supply lines, we engaged in a ganking campaign against those miner alts. It is often difficult to tell the difference between genuine tactics of warfare, no matter how dirty they are, and what might seem like targeted harassment. A random victim might feel griefed even under the lenient regulations of the EVE Terms Of Service. Some actions might straddle the border of what is allowed. 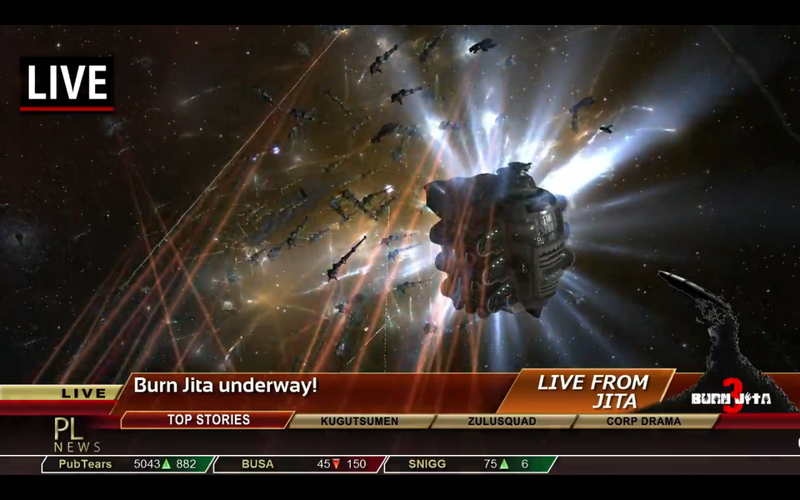 Burn Jita, for example, first occurred as a “celebration” of the fact that The Mittani was allowed to return to the game after a ban following his slip at Fanfest 2012. While no individual is targeted in the course of that event, there is also no particular in-game benefit in conducting that operation. Financial constraints are of little significance there and targets are not selected based on the feasibility of a suicide attack. The coffers of the CFC will bear the cost just to make sure that the amount of kills is as high as possible. In the end it is just a demonstration of power – a message that the CFC can shut down EVE’s major trade-hub whenever they feel like it. Such edge cases then result in calls for higher safety and protection against ganking. Whether that would be a sensible measure warrants examination. EVE offers large regions of space where everything is possible. No amount of destruction or in-game harassment will ever be punished there. Despite that freedom, the suggestion that players in highsec areas of the game should be protected against non-consensual PVP is feared by many. Like I wrote in the introduction, it is considered to be antithetical to the spirit of the game to have such safe spaces. Players accept that some practices, like suicide ganking or can flipping, are banned in newbie starter systems, but the idea to expand such regulations to highsec in general usually results in very vocal rejection by the playerbase. There are sound reasons for that. Some are based on principle, others are quite practical. The declared nature of the game itself makes complete safety from attack undesirable. Principles like risk vs. reward are undermined if rewards can be gained with absolutely zero risk. On the practical side, complete safety would attract players who could collect ISK constantly with minimal effort. The result would be stagnation and boredom according to some, devaluation of industrial products according to others. Currently the balance between risk and reward is an active factor in highsec. It is possible to mine with heavily tanked ships and logistics support and make suicide ganking at least highly impractical. Ships that deliver very high yields, on the other hand, are nearly impossible to defend. Every non-combatant can thus make a choice whether they risk attracting gankers but potentially realize a high profit, or take precautions and sacrifice income. EVE is also a game which is based on people working together. If players could be completely safe from others, the need for cooperation would be highly diminished. Even now there are many mission runners and miners who exist in isolation. Although there should be a possibility to choose solitary gameplay, it is only fair that this choice carries its own consequences. Being unable to defend against gankers who do cooperate is one of them. 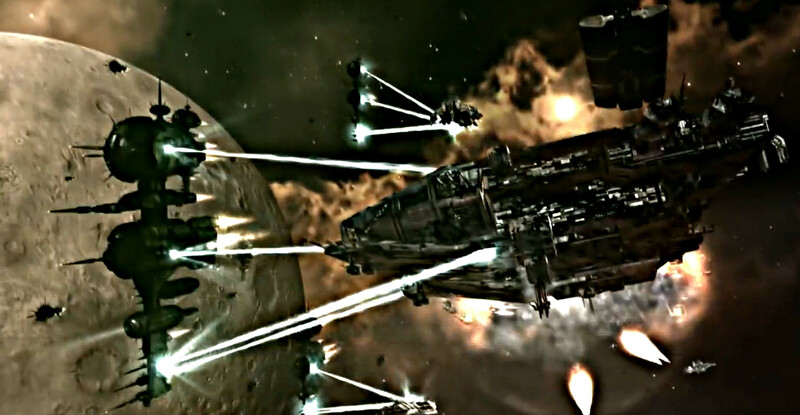 CCP’s own analysis indicated that players who do not become part of social groups in EVE will remain with the game for a shorter amount of time. Some will blame that on the lack of meaningful PVE gameplay, and I agree to some extent, but as long as there are mechanisms which create incentives for players to band together, player retention can be increased. Certainly it looks like many new EVE players may leave if they are not protected enough and face frustration because of unexpected loss, but offering a completely safe space for them would just delay the problem. As long as nothing else changes, those players would mine or run missions in safety but eventually leave because no new challenges remain. At least the gankers and griefers create a challenge that can make even a boring activity like mining mildly interesting. Advanced solo miners who maximize their output can become a problem for the game. A rich multiboxer operating a whole mining fleet can crowd out newbies flying Ventures. Small-scale operators will not be targeted by gankers, but the large fleets of ISK per hour multiboxers will. This way the herd is culled from the top. I am personally sitting on the fence when it comes to griefing. I see no challenge in shooting people who can not fight back, and stalking mission runners or miners seems unnecessarily tedious to me when compared to the fast fights of lowsec. Others do find some source of enjoyment in this style of playing however, and since the game accommodates that, it is their right as customer to make that choice. Those who feel mistreated or cheated upon losing their ships to a ganker or falling for a scam have basically made a mistake with their purchase. In a world where many games reduce the impact of loss, they failed to understand that there is an element to the game which can result in them becoming a victim with all the consequences thereof. It is like buying a kitchen knife and complaining to the manufacturer that it does not only cut vegetables but also your own finger when handled without the proper care or skill. That being said, I do think that the smugness and contempt which is often directed at the victims of griefers is unnecessary. Yes, they made a mistake in thinking that they are entitled to undisturbed gameplay, but it would be more constructive to educate them rather than adding insult to injury. When people point at the players of EVE Online and call them sadistic sociopaths, they are usually wrong, but in the light of the asinine gloating and public ridicule, the accusation of cruelty is justified to some extent. As I have argued before, a particularly harsh gaming environment needs to be balanced out by positive player attitude. I would point to Xander Phoena’s interview with Psychotic Monk – a griefer by trade – to give an example of that mindset.